If you’ve just started looking into essential oils it can be a very daunting process. 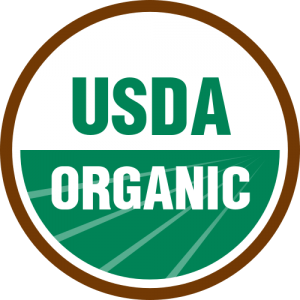 There are 1000’s of options with hundreds of different stores, types, grades and organic and not organic. What’s Certified Pure Therapeutic Grade and who awards it? I’m sure you have tons of questions, and everyone has the best product on the internet. According to them, of course. I’ve done the research so you don’t have to and I believe I’ve found the best place to buy essential oils and the best brand on the internet. What does it matter if essential oils are organic or not? Well, as we’ve come to realize, if farmers put pesticides and chemicals on their plants and we eat those plants, we are basically eating those pesticides. Doesn’t sound very pleasant does it? It’s no different if there are pesticides on plants that are turned into essential oils. When you release the aromas, you could also be breathing in pesticide molecules. I’m not a doctor, but I’d have to say that breathing in chemicals probably isn’t very healthy for you. Organic essential oil means the plants they were made out of used FDA certified organic methods to grow their crops. That way you know you’re only breathing in the aroma from the plant and not the Roundup the farmer used to kill the weeds. Certified Pure Therapeutic Grade (CPTG).. certified by who? So, this is pretty much just a marketing scheme. When you see the word ‘certified’ you automatically think FDA, the same as when you see ‘organic’ above. However, the FDA doesn’t have different grades for essential oils. It’s a pretty trick that essential oil companies play on us, so we automatically make the connection between ‘certified’ and ‘government’, which then surely means it’s safe. It was just something they invented to look more official. However, I do like the premise of it and what they’re trying to represent. 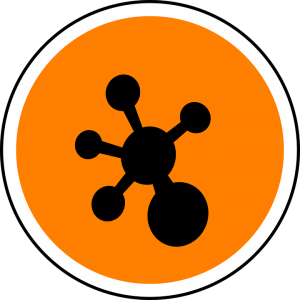 CPTG – what is it exactly? These are all different testing methods to make sure that their product is pure, organic, and it won’t cause side effects. There were no government regulations on essential oils, so they made their own. There are a ton of options out there, but for me, DoTerra is the best place to buy essential oils and also one of the most approachable brands for newcomers. Besides all the incredible reviews that they’ve received over the years, their product has always been held to a very high standard. It may be there own standard, but the numbers don’t lie. The DoTerra website is fantastic but, unfortunately, it isn’t the cheapest place to buy their products. Amazon, once again, is the best place to buy essential oils. 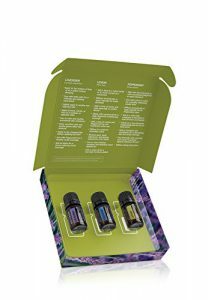 For example, the introductory kit of peppermint, lavender and lemon is around $66 on the DoTerra site and less than $30 on Amazon. Not all savings are this big, but most products are either the same price or cheaper on Amazon than on their official website. Make sure that when you buy on Amazon, you buy from a supplier with a very high seller rating (98% and above). As we all know there are people out there who try to take advantage and will sell DoTerra bottles filled with a lesser product. For most of the products you buy, it won’t be a problem but checking the seller rating and information is well worth your time! It’s also a bit safer if it’s “fulfilled by Amazon” as well since the seller sends their product to Amazon to have them ship. 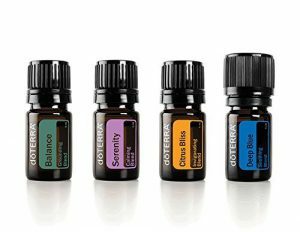 I believe DoTerra is one of the best names in essential oils and a wide variety can easily be found on Amazon. It’s easy to see by the thousands of 5-star ratings that DoTerra is a high-quality brand. Their therapeutic grading system is a bit of a marketing scheme, but it’s also a standard that they’ve decided to hold their own company to in order to consistently provide the best product to their clients. As I mentioned above, their Starter Kit is a great place to begin. You can also check out 5 Essential Oils for Work. It’ll break down a few scents that will help you get started by improving your mood, productivity, creative juices. Lastly, make sure you get yourself the right type of diffuser. If you just want a nice smelling home office than any old diffuser will do, but to harness all of the benefits that essential oils can give you check out my article, What is the Best Diffuser for Essential Oils. It will run you through exactly what you should be looking for when you go shopping. If you need a bit more help in the stress-reduction area you can also head over to 10 Ways to Manage Stress Levels – How to not go off the deep end. I’m sure it’ll have something you can use in your day-to-day life. Have you tried DoTerra? What do you think about their product? Thank you for the information on the essential oils. 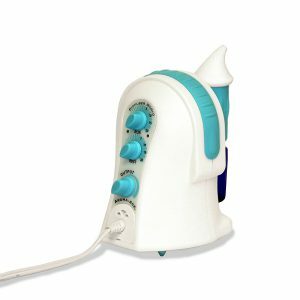 I can say I came across your site and I have no idea about these products, but my wife does. I thought it was interesting when you mentioned about the certification. I believe that happens with a lot of products. If they say it’s good for us, most of us will say OK. I’m sure these products are good and keep you in a good mood. I am letting my wife know about you. Good work! Ya there are a lot of treanding words nowadays that we automatically associated with quality and government certification. Unfortunately it’s happening more and more, not just in the essential oil world. If your wife would like a bit more info you could let her know about The Best Diffuser for Essential Oil or even, 5 Essential Oils for Work. Also, if she ever has any questions, point her my way! Many of my friends use Doterra Oils. When my mother in law married her late husband the doctors gave him 6 montjs to live based on his lifestyle. My mother in law kept her husband alive who had severe COPD around 30 years and could hardly walk. After applying Doterra oils along with his medication he was able to breathe and walk better. It is remarkable how much benefit there is to turning back to nature. I do have a question for you about how you think Young Living compares to Doterra? That’s an incredible story! We honestly aren’t aware of the powerful benefits of essential oils and the natural products we have around us. We think that if it doesn’t come in pill shape that it couldn’t possibly make that much difference. Essential oils have been fantastic for me as well! I love Young Living and their products really are some of the best I’ve tried. One of my favorites is actually Stress Away. It’s a nice combo of vanilla and cedar, two of my favorite smells! Best of luck and let me know if you have any more questions! Thanks for stopping by! That makes a lot of sense. The price savings from Amazon is tremendous. Does it being stored in their warehouses have any effect on the quality ofthe oil? As for being stored, it could have an effect but probably not with Amazon’s system. I’ll try to explain why. Essential oils are basically chemical compounds so if over time things get into the bottle that shouldn’t (air, light, moisture) it could mess with the chemicals and oxidize them. Also, essential oils do have expiration dates but most are anywhere from 2-3 years with very few being around 1 year and some even up to 5 years. So that said, the Fulfilment by Amazon program is set up for fast turn around. It does Amazon no good to have products in their warehouses for years on end. Every six months clients are charged extra for storage and then the same at 1 year. The longer something is stored, the more expensive it is. With all that I don’t think merchants would want to keep their product in storage for years on end either as they’ll start losing a big chunk of their profits. In the end, I don’t think you have anything to worry about in the quality department if you buy from a trusted Amazon merchant since everyone is working for fast turnaround on products. Hope that helps! Let me know if there’s anything else. Andrew Carter is a participant in the Amazon Services LLC Associates Program, an affiliate advertising program designed to provide a means for sites to earn advertising fees by advertising and linking to amazon.com.